The NBA Playoffs will kick off a month from now and coinciding with it is the release of the highly anticipated Air Jordan 12 “Playoffs”. 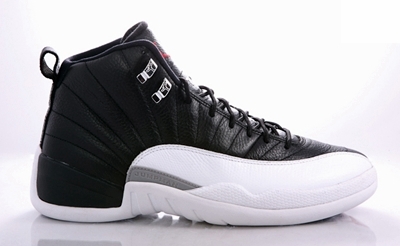 Jordan Brand announced that the playoff-themed Air Jordan 12 will be released in the market on April 21, 2012 and it is expected to get a lot of attention. This retro shoe boasts the same features of the original one with the addition of red touches on the tongue and heel of the sneaker. Mark your calendars now and make sure to grab one!